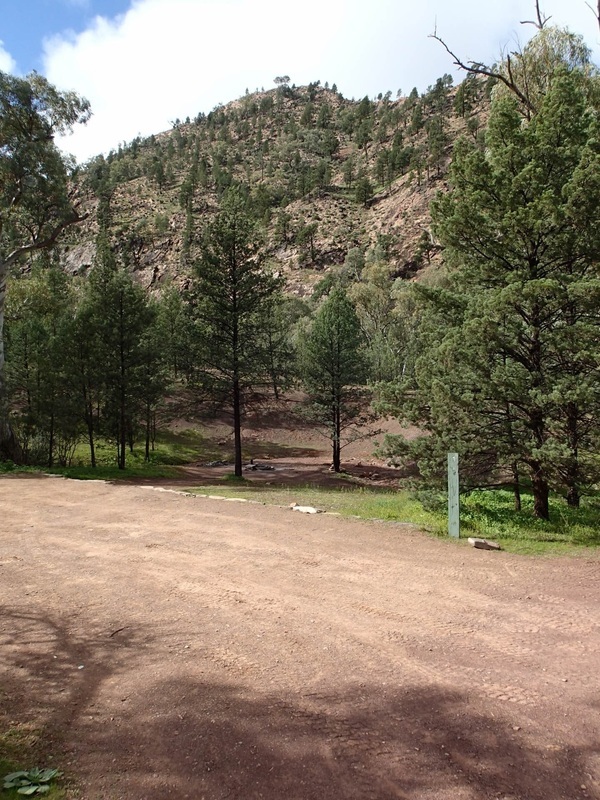 If you are passing through Bunyeroo Gorge on the way to Brachina Gorge, you will pass this small campground. 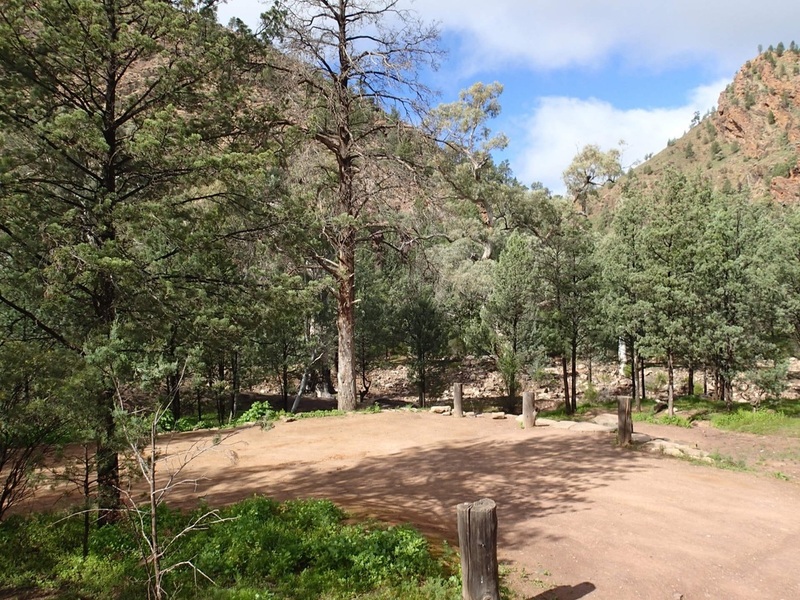 It's about 30km from Wilpena Pound Resort and is a very pretty spot to stay when the weather is lovely (not in summer though). If you have come from Wilpena, take the exit on the left to Bunyeroo Gorge - it's well signposted, so you won't miss it. A 2WD can do this trip, but it will be weather dependent. Ideally, travel along this road to Bunyeroo and Brachina Gorges should be in a 4WD - it is recommended that you check before attempting this road. If there has been rain or it is raining, then a 4WD is definitely the way to go - it's slippery and there will be likely water crossings. 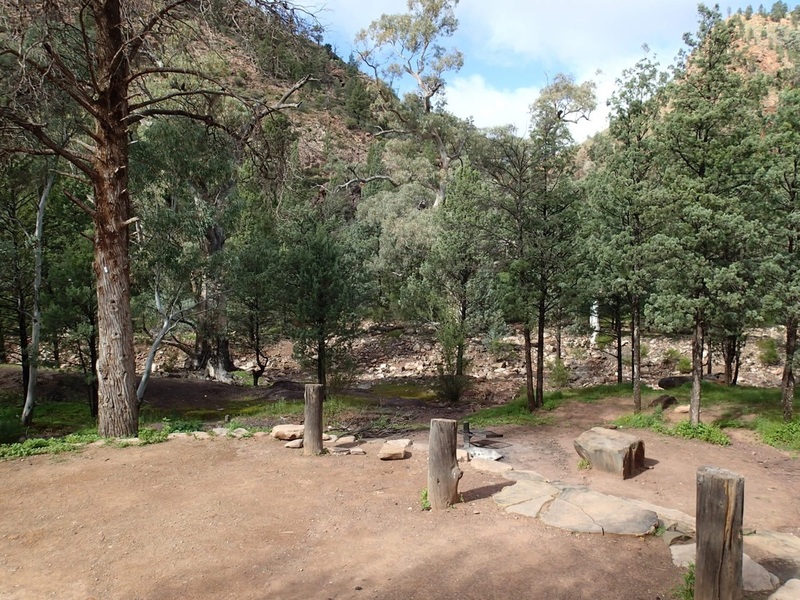 Once you pass through Bunyeroo Gorge, a short drive further on you will find Acraman campground. It is clearly marked so you won't miss it. This is a very small campground, with only 4 sites available. 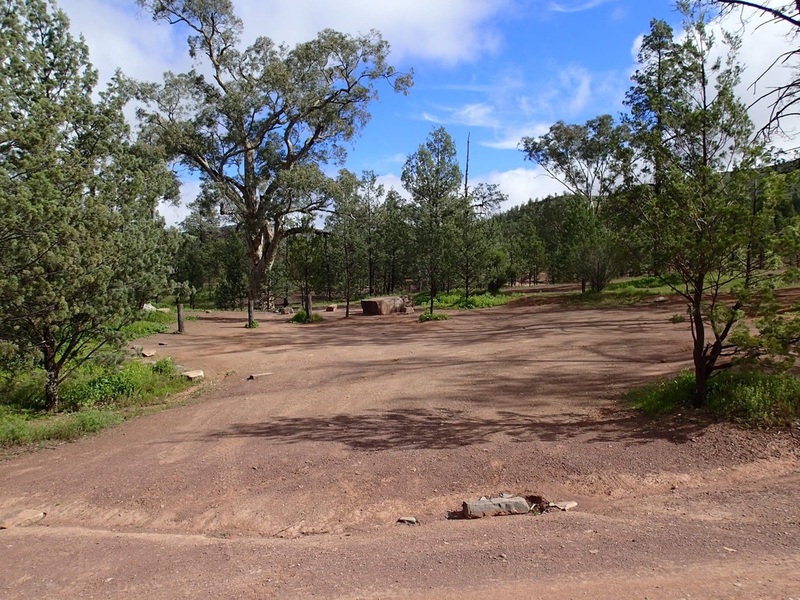 No caravans are allowed in this campground, but it is suitable for camper trailers and tents - the sites are level and you will have room to have all your gear set up. With only 4 sites, you are not too far away from your neighbours, but depending on the time of year you visit, you might just have it to yourself. We visited in winter school holidays, admittedly near the end of the holidays, and the campground was empty. You could of course turn up, and find the 4 sites full as no bookings are taken - it's a risk, so you might want to have Plan B ready if you can't get in here. There is plenty of shade and if you were there in summer you would need it. Surrounded by majestic hills of the Flinders, you are tucked into the base of one of these hills, and there is a dry creekbed that the sites are near - it would be lovely to see the creek flowing, but despite heavy rains in the Flinders, this creek did not have one drop of water in it. There is screening from the other sites - not a huge amount, but you don't feel like you are staring right into another campsite. Being small, there are not a lot of amenities to mention. There is a drop toilet in the middle of the campground, and there are fire pits (no wood collection allowed, so BYO wood). Check fire restrictions prior to lighting any fire. No water available so bring in plenty. A couple of sites, have large square pieces of rock placed in them - to be used as tables! This is a campground for the prepared camper! No shops are close by and you really are in the middle of nowhere. Once the daytrippers who have come to see the Gorges have gone, it's a very isolated campground. No generators are allowed, no dogs. Mobile phone reception is pretty much non existent in this area. Vodaphone customers will have trouble getting coverage anywhere around here including Wilpena Pound. Telstra - you will have a little more luck but it's very patchy. Don't rely on mobiles. For fee information - read here. This is the sort of campground you visit to relax in and do as little as you want. There are plenty of walks you can do within the park, and the Heysen Trail comes through this section of the Park. You could choose to use Acraman as a base, and then do some day trips to fully explore the other areas including Brachina Gorge and Aroona (read our Aroona camping review). Some of the walks you will need to get in your car to drive to and from the walk. Apart from the walks in the area, it's a very tranquil place to visit, and in the right sort of weather, very picturesque.